This will truly be a short post . . . a couple of photos and a gallery at the bottom of the post. I’ve added the B&W shots to the original SmugMug gallery HERE where one can get down to the pixel level. The gallery at the bottom of this post or clicking on any photo will get you a version with the maximum side length of 1280 pixels. The galleries (either one) is probably the best way to look at the 101 photos I took. I’m only going to show a couple in the body of the post, and by a couple, I mean no more than ten or so, and probably less. 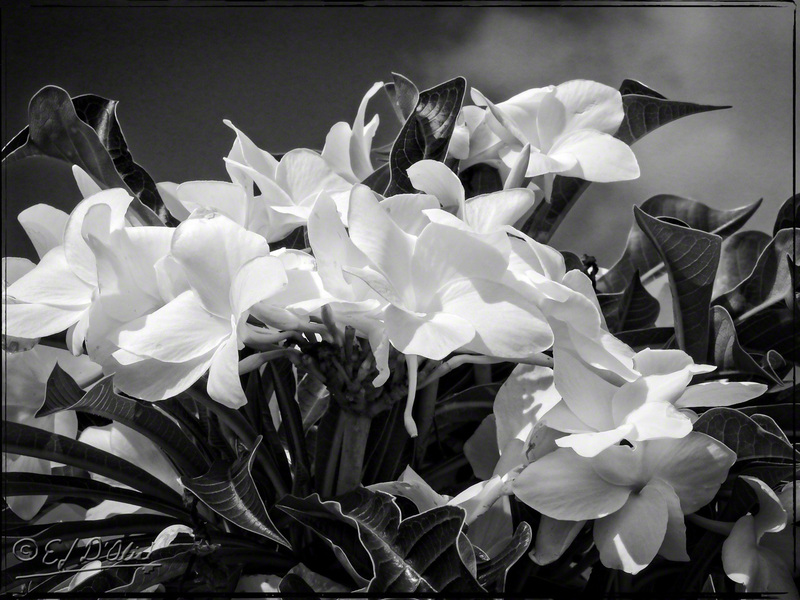 So, yes, I took the flower photos from the last post and converted a number of the shots to B&W. Why would I do that, you ask. Well, it used to be all photography was in Black and White. I occasionally want to see what results are possible with restricting oneself to limited tools. You will notice that there are two copies of some of the photos. 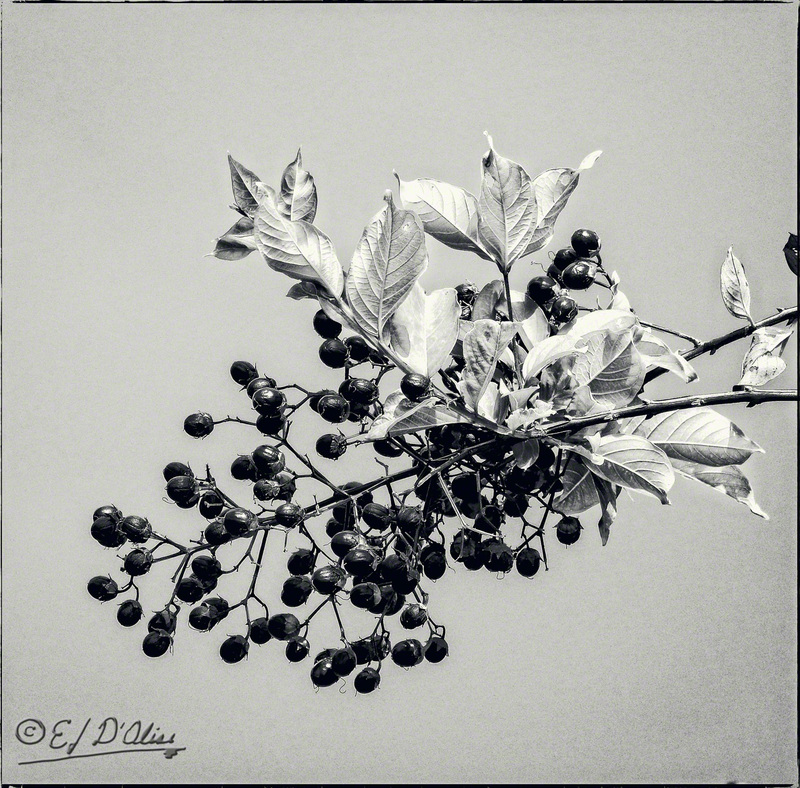 That’s me trying different processes for converting color photos to B&W. That’s mostly with the earlier photos until I found stuff that worked with this batch (meaning, stuff I liked — not all might agree with my preferred conversions). They might look similar in the small version above, but if you go to the gallery and look at them one after another, you can readily see the difference. Here are a few of my favorite, but by no means all of my favorites from this batch . . .
No, I didn’t convert all 101 color photos. I was just playing around and picked some based on what I thought would make a good B&W photo. Perhaps other would have been better, but we’ll never know. Well, never is a long time. Perhaps one day I’ll revisit this, but given that I’m old, I’ll probably forget where I even put these. 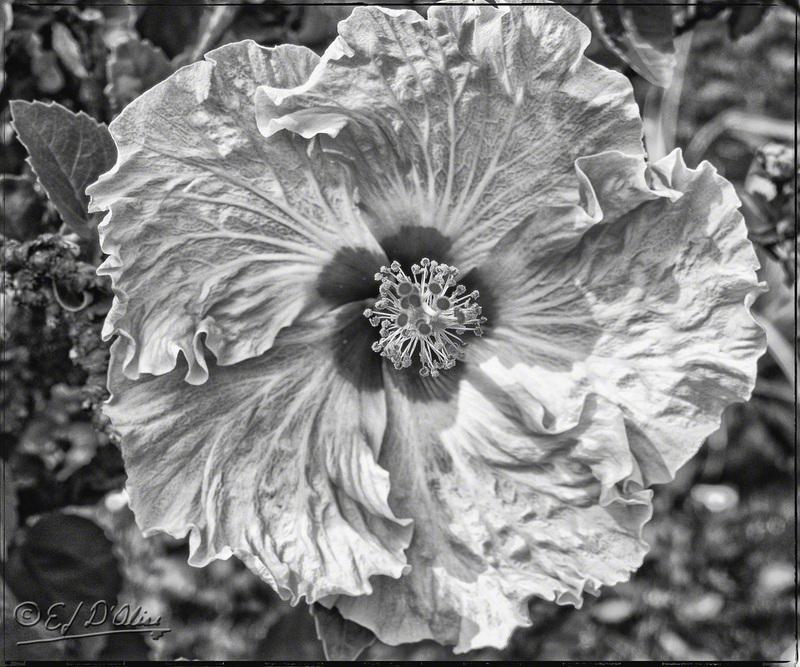 For an example of previous times I played with converting flowers to B&W, click HERE and/or HERE. Meanwhile, here’s the gallery of the photos from this post randomly arranged. 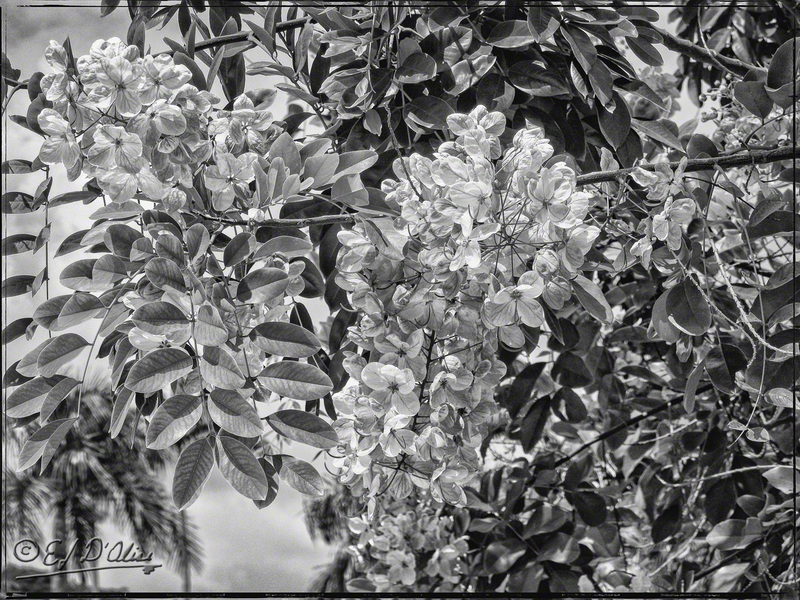 This entry was posted in Black & White, Flowers, Photography Stuff and tagged Black and White, Black and White Photographs, flower photographs, flowers, Hawaii, Photographs, Photography, photography stuff, post-processing. Bookmark the permalink. 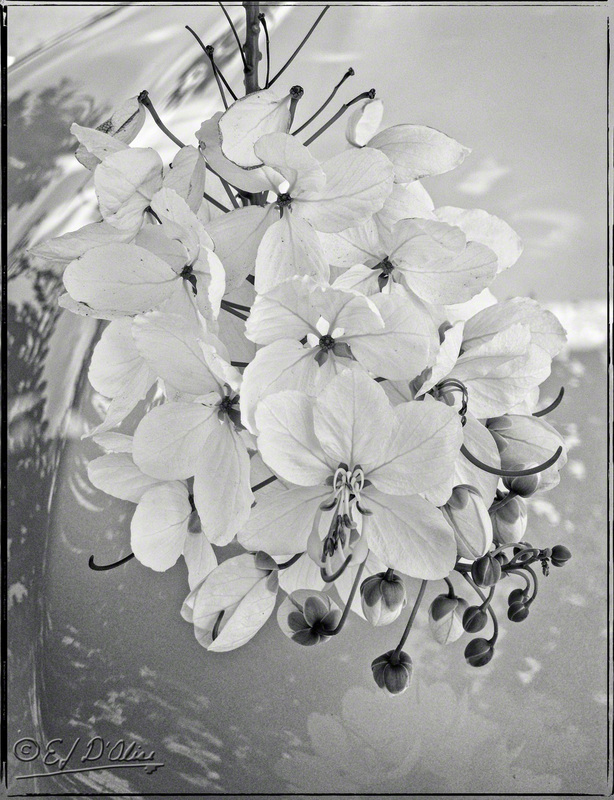 For many years I shot flowers in b&wonly because I couldn’t afford color. Now it doesn’t cost any extra to shoot color and I find myself still converting some to b&w anyway. I like the idea of having it both ways. I missed that whole B&W phase with film because I wasn’t into photography all that much. Digital changed all that, and then it was moot. I do like converting stuff to B&W as a curiosity, but I’m not sure I would go as far as saying I prefer it. I think they each have their place and for me, it’s mostly how I feel at the moment. I do think that B&W conversion requires more work (if one wants to go beyond just removing the color saturation) to make it look good and bring out specific elements. 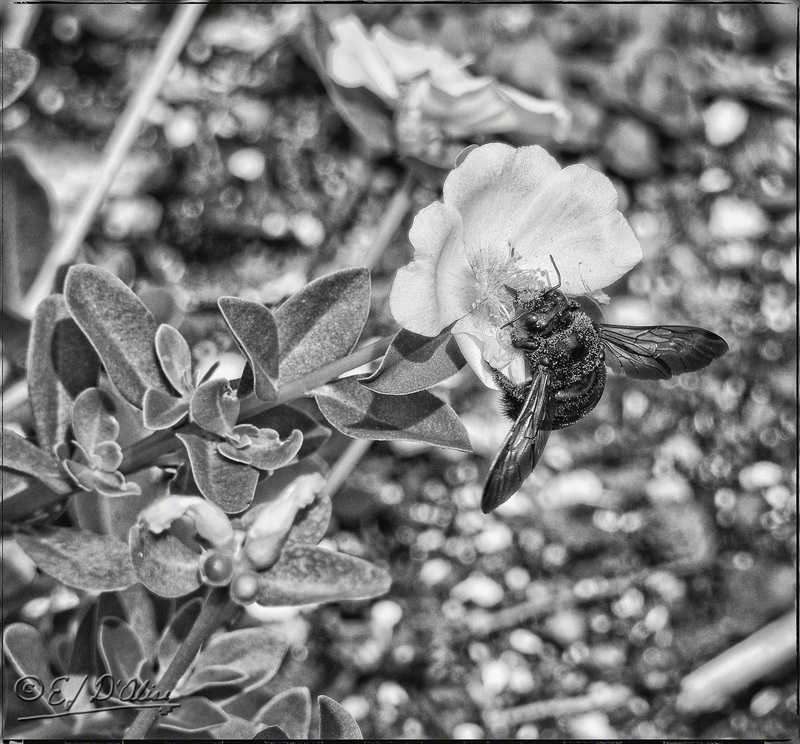 I spend more time on my B&W post-processing than I do the color versions. Thank you, aquileana. As I said before, sometimes one gets lucky and things work out. I too like how these turned out. Then again, these wouldn’t be posted here if they had turned out terrible. I love looking at your B&W photos! These turned out spectacular! It seems in color photos my eyes focus on the colors and in B&W photos my eyes focus on the details. I love observing the details! But, you know . 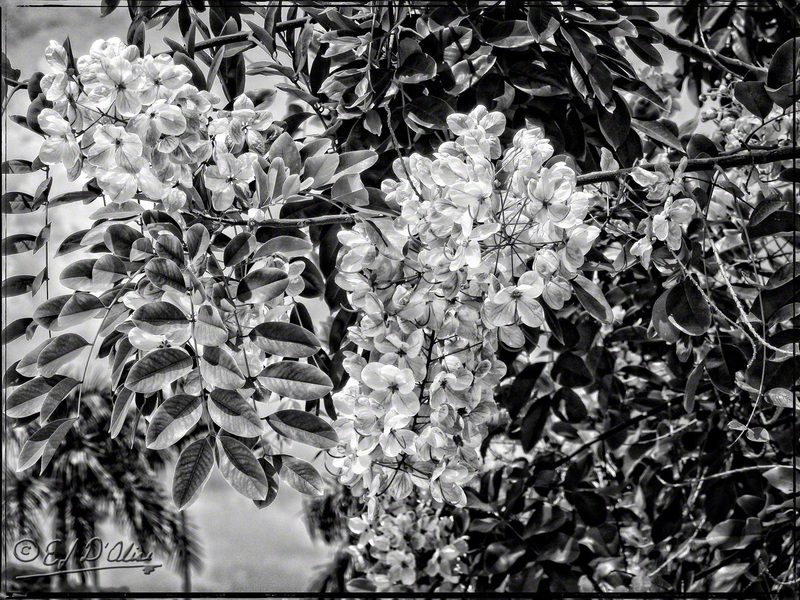 . . it’s difficult focusing on color in B&W photos. Yes, I kid. 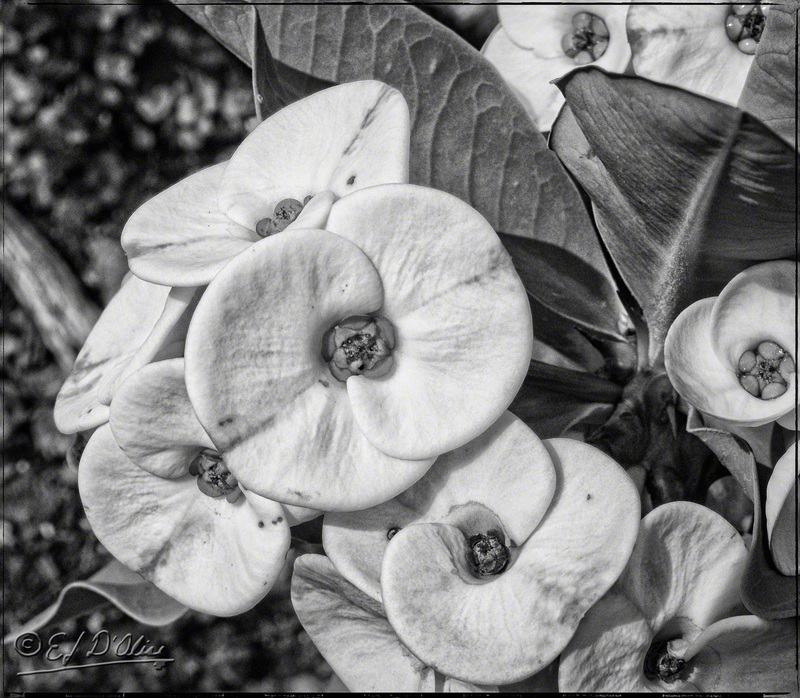 Certainly, B&W photos have to rely on different visual impact, generally relating to shape. I think that in that regard, it puts some pressure on composition to really do its job. You really outdid yourself with these B&W beauties! The one that stood out the most for me is that “silver looking spiky” plant. I went to SM and had a blast watching them go from color to B&W and vice-a-versa! What a treat! Thanks. Practice makes perfect. 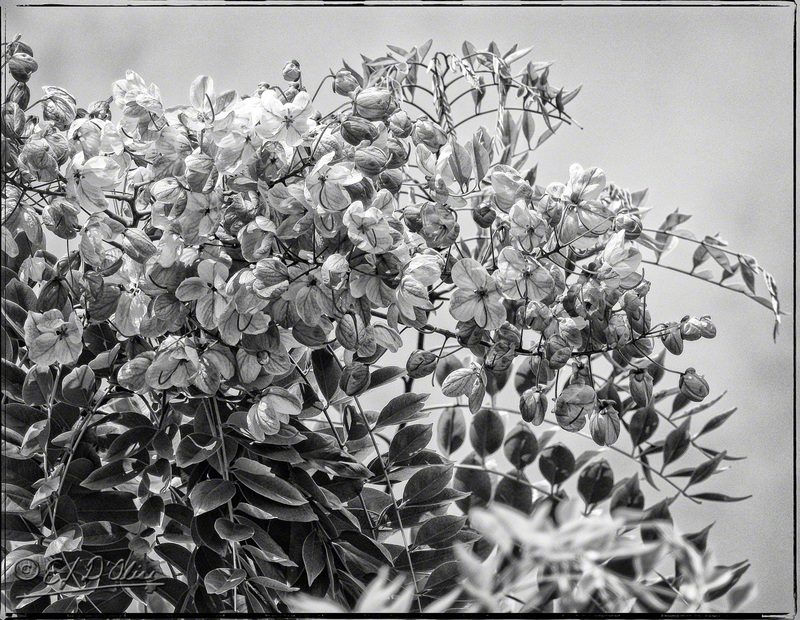 There is no one formula for converting color to B&W, so the more I play with it, the more I get what I want/like. Also, to be fair to the programs I use, they have gotten better and with more precise adjustments.